Chronicles of a Foodie: My Favorite Things Monday: Mugs! 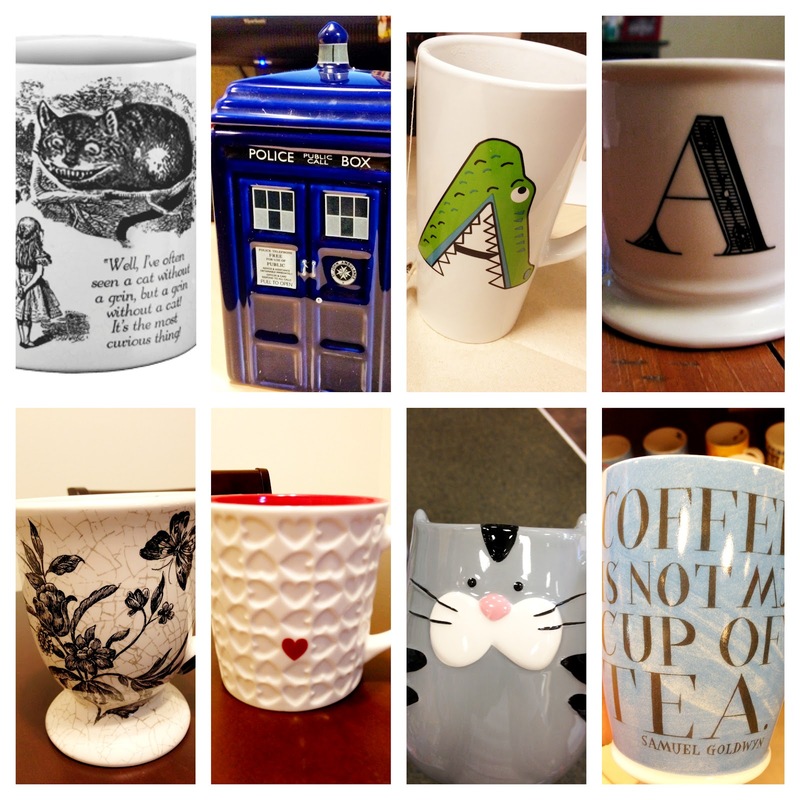 My Favorite Things Monday: Mugs! They say the first step is admitting you have a problem. Well, readers...my name is Ashley, and I have a problem. A mug problem. It's not a problem if you have it under control right? Yeah, no, this is totally out of hand. They're just so useful! Plus, I only pick really awesome ones! I mean seriously, how could I have refused a Doctor Who TARDIS mug? And a mug where the Cheshire Cat disappears when the beverage is hot? Seriously?! I know, this sounds silly, but I consider it a quirk. Some people collect shoes or purses, I collect mugs. My best friend has the same problem so I suppose we're not helping each other to get over it but it makes for the both of us finding some pretty sweet mugs!